Be met at Xian airport by our English speaking tour guide and transferred to hotel. Free time for the rest of the day. Recommend you to take a walk at Muslim Quarter (optional). Visit the Terracotta Warriors, ancient Bell Tower and Big Wild Goose Pagoda. 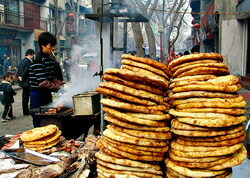 Continue your tours in Xian. Optional activities at night: Tang Dynasty Dinner Show. The best show in Xian is the show at the Tang Dynasty Theatre, it combines music and dance with exquisite traditional costumes in ancient times. Ask your tour guide and driver to wait the show finishs and take you back to your hotel. You need to pay for the ticket cost and extra hours of your tour guide and driver. Famen or Famensi Temple is located to the west of Xian city and sits in the 120km Fufeng county. The temple has a history of 1700. It is one of the Top 3 national museums in China. This museum boasts 370,000 pieces relics range from prehistory when human just used simple stone tools to exquisite wares in the Qing Dynasty (1644–1911)., and enables you to see the vast changes of China in the past 5,000 years. 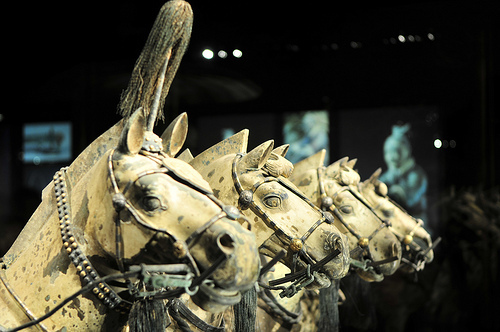 [ Optional ] Shaanxi Provincial History Museum: It is one of the Top 3 national museums in China. This museum boasts 370,000 pieces relics range from prehistory when human just used simple stone tools to exquisite wares in the Qing Dynasty (1644–1911)., and enables you to see the vast changes of China in the past 5,000 years. Continue your tours in Xian, later today you will be transferred to airport for your flight to next destination. 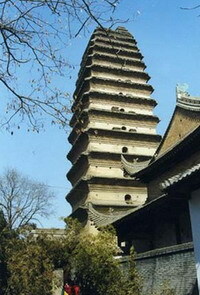 The Little Wild Goose Pagoda was built in the year 707 A.D. during the Tang Dynasty (618-907). 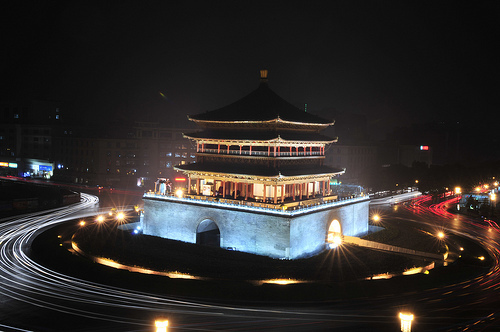 Unlike the grand Big Wild Goose Pagoda, it is dainty and exquisite in its appearance. It is well-known for its dreamy and colorful scenes in different seasons. [ Optional ] Little Wild Goose Pagoda: The Little Wild Goose Pagoda was built in the year 707 A.D. during the Tang Dynasty (618-907). Unlike the grand Big Wild Goose Pagoda, it is dainty and exquisite in its appearance. It is well-known for its dreamy and colorful scenes in different seasons.